The Emerging Business team, in partnership with the Israel R&D center and the Windows Phone team, hosted Mobile Acceleration Week in Israel on Nov. 27th – Dec. 1st, 2011 at the ILDC facilities in Herzliya, This was the third stop on a nine city tour for Mobile Acceleration Week after earlier events in San Francisco and New York City. As with past MAWs, the program is designed to encourage Windows Phone app development as well as raise awareness of the Windows Phone platform among mobile developers. This event was a big success, with over 200 mobile developers attending the opening session alone. 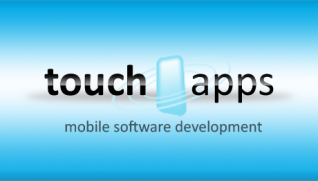 Ten startups spent the week focused on app develop on the Windows 7 platform. At the conclusion of the week, each startup had the opportunity to present their app in a competition judged by industry experts. 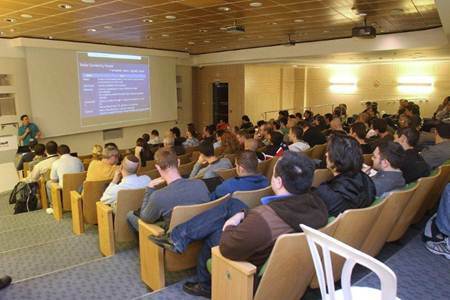 The event included two public sessions aimed at the mobile development community. 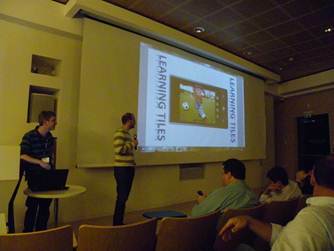 The first, held on Nov. 27th, featured a training session by Sela (ILDC’s training partner for the event) covering the technical aspects of developing for the Windows Phone platform, including the Metro UI, use of push notifications, and Live Tiles. 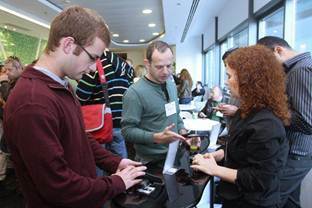 In addition to the technical training session primarily aimed at mobile developers, the kickoff session presented a great opportunity to generate interest in the Israeli high-tech media and blogosphere around the Microsoft-Nokia partnership. Nokia had their newest phones on dispoay, with Nikolay Isakov, Euro-Asia Business Development on hand for the Sunday event. Isakov gave a presentation detailing Nokia’s vision for the cooperation with Microsoft. He also met with mobile startups. The second public session, on Nov. 29th included a panel session on app monetization and best practices for working with the Windows Phone marketplace, followed by a technical lecture on hybrid development and Silverlight. 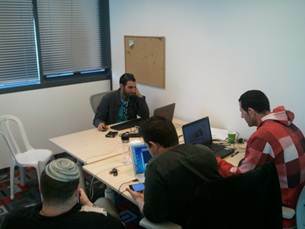 Mobile Acceleration Week featured a workshop track that provided the opportunity for 10 mobile startups to work at the ILDC facilities for a week developing apps for Windows Phone. 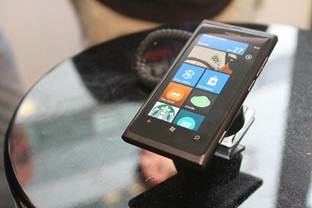 Promotion on the Windows Phone Marketplace for every participating startup that submits their app within 60 days. The mobile startups worked all week in order to create a betaversion of their WP app. Do@ is a revolutionary next generation mobile-optimized search application that tries to minimize the time and effort needed to find information while using a phone. 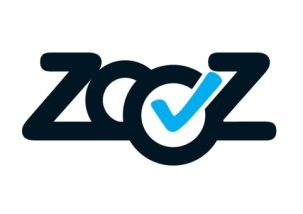 In addition, the company is part of Microsoft’s BizSpark One program. Do@ created the first version of their mobile search app for Windows Phone during the week. WorldMate is a veteran mobile application company focusing on the business traveler marketplace. 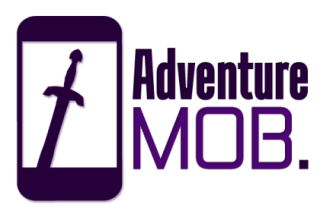 They used the Mobile Acceleration Week to begin development on the WP version of their popular itinerary management solution. Pyramid Analytics is a BizSpark One company developing an enterprise data analytics application for consuming Microsoft Analysis Services OLAP cubes. Pyramid developed a mobile viewer for its BI solution. Colorful Apps recently created an application to help users with color blindness access photos on their phone. 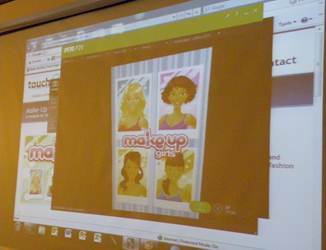 They used their experience at MAW to begin development on a new app in the e-learning space. The final event of Mobile Acceleration Week was the presentation and judging session. Each of the participating companies gave a presentation of their vision and the app they had developed during the week. 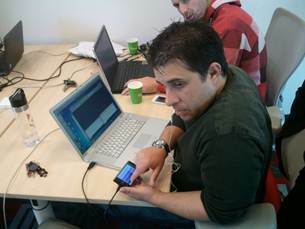 Roi Carthy, an Israeli venture capitalist and columnist for Tech Crunch. In addition, WorldMate was chosen as a fourth place favorite and received a free training course from Sela.